The official weigh-in for Saturday’s IBF/WBA/IBO Heavyweight championship fight between undefeated world champion Anthony Joshua and IBF number three rated Heavyweight contender Carlos Takam took place on Friday in Cardiff, Wales. The official weights for the entire card are as follows. Main Event: IBF/WBA/IBO Heavyweight world championship – 12Rds. Anthony Joshua (Champion) 254lbs. vs. Carlos Takam (Challenger) 235 1/2lbs. Vacant WBC Silver Heavyweight championship – 12Rds. Robert Helenius 248 1/2lbs. vs. Dillian Whyte 247 1/2lbs. WBA Jr. Bantamweight world championship – 12Rds. Khalid Yafai (Champion) 114 1/2lbs. vs. Sho Ishida (Challenger) 114 1/2lbs. Vacant WBA Women’s Lightweight world championship – 10Rds. Anahi Sanchez 136lbs. vs. Katie Taylor 134 1/2lbs. British Light-Heavyweight championship – 12Rds. Frank Buglioni (Champion) 174 1/2lbs. vs. Craig Richards (Challenger) 173lbs. Joe Cordina 134 1/2lbs. vs. Lesther Cantillano 132lbs. Adam Williams* vs. Lawrence Okolie 201lbs. Scott Saward* vs. David Allen 237lbs. Press Release: October 26, 2017 (Originally released on October 25, 2017) – By Sanman Promotions Former world champion Randy “Razor” Petalcorin of General Santos City will be facing former WBO Asia Pacific Minimumweight and Indonesian Light-Flyweight champion Oscar Raknafa of Indonesia on November 10 at the Malvern Town Halll in Melbourne, Australia. It will be a 10-round non-title fight according to Jim Claude Manangquil, CEO of Sanman Promotions. Petalcorin (27W-2L-1D, 20 KOs) is handled by Sanman Promotions and Peter Maniatis of Australia. “I’m happy to be fighting back in Melbourne. Last time was not great but I will make sure I will have a good performance on Nov. 10,” said the 25-year old Petalcorin. 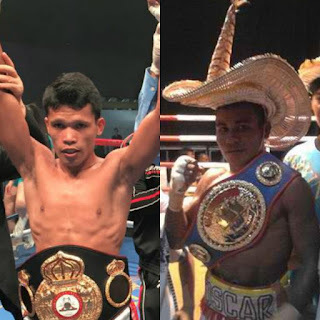 Petalcorin, a former WBA World Light-Flyweight champion, lost by a controversial split decision to Omari Kimweri of South Africa in their battle for the vacant WBC Silver Flyweight title last April 15, 2016 at The Melbourne Pavilion in Flemington. Petalcorin, however, has managed to bounce back by winning all his last four fights since last year. He previously stopped slugger Jetly Purisima via a 6th round technical knockout last Sept. 9 at the Polomolok Gym in Polomolok, South Cotabato. “After Nov. 10, I want the world champions from 105 to 108 next,” said Petalcorin. Among the current Minimumweight champions are WBA’s Knockout CP Freshmart WBC’s Wanheng Menayothin, IBF’s Hiroto Kyoguchi and WBO’s Ryuya Yamanaka. The present Light-Flyweight world title-holders are WBC’s Ken Shiro, WBA’s Ryoichi Taguchi, WBO’s Kosei Tanaka and IBF’s Milan Melindo. “Randy has been training hard in Sanman Gym for a month. He will fly to Australia by end of October,” said the 24-year old Manangquil, who was awarded the Most Accomplished Boxing Manager of the Year in the 3rd GAB Boxing Convention last May. Raknafa (13W-15L-0D, 5 KOs) last won by a split decision to Muhammad Rachman for the vacant Indonesian light flyweight title. For more information about Sanman Promotions and to watch the Sanman Live Boxing series please visit Sanman Promotions’ official Facebook page at: www.facebook.com/SanmanPromotions. Press Release: October 26, 2017 (Originally released on October 22, 2017) – By Sanman Promotions The up and coming fighters of Sanman Promotions will be featured in the next Brawl at the Mall: “Young Gunz” on November 5th at the Robinson’s Place in General Santos City. The undefeated Jayson Mama (7W-0L, 3 KOs) of Sanman is pitted against veteran Rodel Tejares of Bukidon in a bout scheduled for 10 rounds. Mama, who only turned pro last year, will be making his first 10 round fight. “I think Jason Mama will be a big deal in the Flyweight division in the future,” said Sanman Promotions CEO Jim Claude Manangquil. 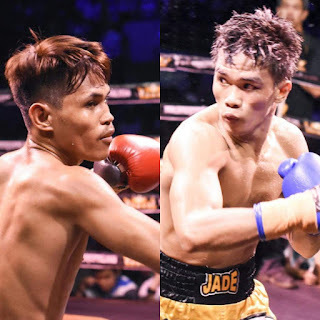 In his last fight, the 20-year old Mama stopped Bimbo Nacionales by a second round technical knockout last September 9 at the Polomolok Gym in Polomolok. He knocked down Nacionales three times in Round 2 to remain unbeaten. Tejares, on the other hand, previously won by retiring Ian Ligutan in the 3rd round in Wao last February 19th. Tejares, however, dropped his last three fights. Mama’s twin brother Jerven (2W-0L, 2 KOs) is also seeing action against Flyweight Joey Antonio (3W-5L-3D) of Davao City in a bout scheduled for 6 rounds in the undercard. Reigning IBF Youth super flyweight champion Jade Bornea (9W-0L, 6 KOs) will fight John Rey Lauza (13W-15L-4D, 6 KOs) in an 8-rounder non-title fight for the main supporting bout. The other Sanman boxers seeing action in the undercard are talented Light-Flyweight Dave Apolinario (3W-0L, 2 KOs), Super-Flyweight Mark Antonio (3W-0L, 3 KOs), Minimumweight Jayson Francisco (3W-0L), Lightweight Rimar Metuda (11W-3L-0D, 6 KOs), Flyweight Edemrel Dawa and Flyweight Judy Flores. Apolinario collides with Rez Padroganie (2W-12L-0D, 1KOs). Antonio takes on Rocky Sardido (8W-19L-4D, 3KOs). Metuda fights Richard Betos (20W-18L-2D, 7 KOs). Francisco will trade punches with Renante Suacasa (7W-19L-0D, 1 KO). Dawa and Flores will both make their debuts with Jerry Tabago and James Aquino. Top Middleweight contender Ryota Murata scored a dominant seventh round TKO over former WBO Middleweight world champion Hassan N’Dam on Sunday night (In Japan, Sunday morning in the United States) at the Ryogoku Sumo Hall in Tokyo, Japan. In what was a rematch of a fight that ended in a controversial split decision that was won by N’Dam in May of this year, this time Murata left no doubts. In short, the fight can be summed up by simply stating that Murata applied consistent pressure on N’Dam implementing a well-balanced attack to the body and head of the former world champion. Although N’Dam attempted numerous times throughout the fight to land short combinations on Murata, Murata was able to effectively block much of N’Dam’s offense by using a high defensive guard and deflecting punches either with his arms or his gloves. In contrast to the first fight where he spent much of the early rounds stalking N’Dam and not letting his hands go consistently, Murata started his offense from the opening bell and implemented a systematic approach in his attack of N’Dam. Minute by minute and round by round it was Murata who landed the more effective punches and gradually wore N’Dam down. Although he was not able to score a knockdown of N’Dam as he had in the first encounter, Murata’s body head attack eventually took a toll on N’Dam and after seven rounds N’Dam’s corner informed Referee Kenny Bayless that they had seen enough resulting in the fight being stopped. Ryota Murata advances to 13-1, with 10 Knockouts. Hassan N’Dam falls to 36-3, with 21 Knockouts. Undefeated WBC Light-Flyweight world champion Ken Shiro successfully made the first defense of his world championship by scoring a twelve round majority decision over former WBC Light-Flyweight world champion Pedro Guevara. Official scores were: 114-114 (Even), and 116-112, 115-113 in favor of Shiro. Ken Shiro advances to 11-0, with 5 Knockouts. Pedro Guevara falls to 30-3-1, with 17 Knockouts. Undefeated WBC Flyweight world champion Diago Higa successfully made his first defense of his world championship by scoring a seventh round TKO over Thomas Masson. Official time of the stoppage was 1:10 of round seven. Diago Higa advances to 14-0, with 14 Knockouts. Thomas Masson falls to 17-4-1, with 5 Knockouts. Undefeated Super-Middleweight Louis Toutin UD4 over Ruslan Schelev. Official scores: 40-36, and 39-37 (On two scorecards) all for Toutin. Louis Toutin advances to 8-0, with 7 Knockouts. Ruslan Schelev falls to 13-8-1, with 7 Knockouts. Undefeated Featherweight Yasuhiro Okada UD4 over Seiya Yamaguchi. Official scores: 39-37, and 40-36 (On two scorecards) all for Olada. Yasuhiro Okada advances to 2-0, with 1 Knockout. Seiya Yamaguchi falls to 1-1-1, with 0 Knockouts. Light-Flyweight Yuta Kono UD4 over Retsu Matsuda. Official scores: 39-38, and 39-37 (On two scorecards) all for Kono. Yuta Kono advances to 2-3, with 0 Knockouts. Retsu Matsuda falls to 2-3, with 1 Knockout. Undefeated Bantamweight Ryuto Owan UD6 over Alvin Medura. Official scores: 60-53 (On all three scorecards) all for Owan. Ryuto Owan advances to 3-0, with 2 Knockouts. Alvin Medura falls to 5-2, with 5 Knockouts. Bantamweight Haruki Kudo UD4 over Naochika Kan. Official scores: 40-37, 39-37 (On two scorecards) all for Kudo. Haruki Kudo advances to 1-1, with 0 Knockouts. Naocohika Kan falls to 0-2, with 0 Knockouts. Ryota Murata’s victory in his rematch with Hassan N’Dam earned him interim/regular champion status in the World Boxing Association’s (WBA) Middleweight ratings. A designation makes Murata the WBA’s number one mandatory challenger for current undefeated unified WBA/IBO/IBF/WBC Middleweight world champion Gennady Golovkin. Although the WBA has been trying to gradually do away with interim/regular championship designations for their number one contenders throughout the entire sport, one would assume that as has been the case for many years that Murata will have to wait a period of time while competing to maintain his designation before getting his opportunity to fight whomever the WBA world champion might be. In terms of the immediate future, Golovkin appears to be heading toward an immediate rematch with former two-division world champion Saul Alvarez. If and when that rematch takes place it will be interesting to see if the World Boxing Association will mandate that the winner of the second encounter between Golovkin and Alvarez to fight Murata in their next bout. This of course, is just one piece of the puzzle that comprises the very active and talent deep 160lb. Middleweight division. With some key Middleweight bouts still to take place in 2017, it will be of equal interest to see if those bouts will impact any potential options Ryota Murata might have as 2018 approaches. The official weigh-in for Sunday’s Middleweight rematch between former WBO Middleweight world champion Hassan N’Dam and Ryota Murata took place earlier today in Tokyo, Japan. Below is the official weights for the entire card, which can be seen here in the United States on ESPN. Hassan N’Dam 159 3/4lbs. vs. Ryota Murata 158 1/2lbs. WBC Light-Flyweight world championship – 12Rds. Ken Shiro (Champion) 107 1/4lbs. vs. Pedro Guevara (Challenger) 107 1/4lbs. WBC Flyweight world championship – 12Rds. Daigo Higa (Champion) 111 3/4lbs. vs. Thomas Masson (Challenger) 111 1/2lbs. *Bouts also scheduled to take place on this card: Weights unavailable as of this writing. N’Dam vs. Murata II takes place tomorrow night (Sunday, October 22nd) at the Ryogoku Sumo Hall in Tokyo, Japan. The card can be seen live in the United States on ESPN on Sunday morning beginning at 7:15AM ET/4:15AM PT and will also be streamed on the Watch ESPN and ESPN apps. The card will be replayed later in the day on ESPN 2 at 6:30PM ET/3:30PM PT. For more information on ESPN, ESPN Boxing, the Watch ESPN/ESPN apps and to find channel numbers in your area please visit: www.espn.com. Check your listings internationally. In a battle of longtime contenders former world title challenger Gabriel Rosado scored an impressive sixth round TKO over veteran Glen Tapia on Thursday night at the Monte Carlo Resort and Casino in Las Vegas, NV. Rosado, who was coming off two straight losses going into this fight was able to control the tempo of the combat by using his jab and movement to keep Tapia at distance where he was unable to be effective. As the fight went on Rosado was able to have increasing success in being able to land combinations on Tapia. Although Tapia, who entered the bout having lost his previous three bouts prior to this encounter, was consistent in attempting to pressure Rosado, he simply could not find a way to nullify Rosado’s movement and could not land anything significant to turn the ebb and flow of the fight in his favor. After gradually sustaining punishment over the course of the bout, Tapia was knocked down by a barrage of punches in round six. Although Tapia was able to get up from the knockdown, he was unable to defend from a follow-up flurry by Rosado forcing Referee Robert Byrd to step in and stop the fight. Official time of the stoppage was 1:15 of round six. Gabriel Rosado advances to 24-11, with 14 Knockouts. Glen Tapia falls to 23-5, with 15 Knockouts. Also on this card, rising Welterweight prospect Keandre Gibson scored a ten round majority decision over a very “Game” Alejandro Barrera. Despite being under constant pressure by Barrera, Gibson was able to consistently land combinations to the head and body and was able to make Barrera miss with much of his offense. As the bout progressed Barrera began showing the effects of the punishment that Gibson was administering and was bleeding heavily from the nose as well as from cuts over both of his eyes. It was understandable given the punishment Barrera had taken how one would think the bout would have been stopped to prevent further damage, but Barrera showed his mettle and fought on until the final bell. Official scores were 95-95 (Even), and 97-93, 98-92 both in favor of Gibson. Unofficially, I scored this fight 98-92 or ten rounds to two in favor of Gibson. Although Gibson’s overall activity and his ability to land the cleaner, more effective punches of the two fighters was the story of the fight, this was a grueling fight and one that likely took a lot out of Barrera as well as served as a crucial step in the development of Gibson as he looks to climb the ladder towards contender status in the 147lb. Welterweight division. Keandre Gibson advances to 18-1-1, with 7 Knockouts. Alejandro Barrera falls to 29-4, with 18 Knockouts. In a bout for the WBC International Jr. Lightweight championship Bekman Soylybayev (12-0, with 4 Knockouts) scored a ten round unanimous decision to retain his title over Fernando Vargas (32-13-3, with 21 Knockouts) Official scores: 98-92, 99-91, and 100-90. In a Lightweight bout rising prospect Randy Ochoa (10-1, with 9 Knockouts) stopped veteran Raul Chirino (11-7, with 6 Knockouts) in the second round. Official time of the stoppage was: 1:35 of round two. This card provided a look at two fighters in different weight classes at different stages in their respective careers. For Keandre Gibson, his victory over Alejandro Barrera in what was an entertaining bout will likely earn him an opportunity to attempt to become a contender in a talent deep Welterweight division in 2018. For Gabriel Rosado some might be tempted to call his stoppage win over Glen Tapia one of the most impressive performances of his career under circumstances where he was in a “Must Win“ scenario. This observer was particularly impressed with how Rosado, who has taken part in several exciting fights over the years and is a fighter known for a come forward style, was able to maintain a disciplined and tactical approach in this fight. Simply put, Rosado executed an effective fight plan. was able to do so without sustaining much punishment, and showed that he is quite capable in taking a tactical Boxing approach as opposed to relying on the brawling type style that has endeared him to Boxing fans. Whether or not this victory over Glen Tapia could be the start of a career resurgence for Gabriel Rosado remains to be seen, but if he can put forth similar performances in future outings as he was able to do in this fight against Tapia, it would not surprise this observer to see Rosado back in the mix in the Middleweight division. Press Release: October 19, 2017 by Sanman Promotions – Undefeated Reymart “Assassin” Gaballo from General Santos City but now based in Miami, Florida, will finally make his debut in the U.S. on November 15th. This was announced by Gaballo’s manager John Ray Manangquil though his brother Jim Claude Manangquil, CEO of Sanman Promotions. Gaballo is facing Mexican Ernesto “Monito” Guerrero (27W-21L-0D, 19 KOs) on Nov. 15th at the Hawaii Events Center in Honolulu, Hawaii in the main event of the “Island Fight Fest” card of Filipino international boxing promoter Gabriel “Bebot” Elorde Jr. “This is a great opportunity for Gaballo to look good in his U.S. debut,” said Mananquil. The 21-year old Gaballo has an unblemished record of 16 straight wins with 14 knockouts. Gaballo thanked Sanman Promotions and Bebot Elorde for giving him a chance to be showing his talent in front of the boxing fans including the thousands of Filipinos in Hawaii. "I am very excited and I’m ready to introduce myself in the U.S.” said Gaballo. Gaballo has been training at the gym of Cuban Coach Moro Fernandez in Miami since June. In his previous outing, Gaballo stopped Jerson Luzarito by a 2nd round technical knockout last Dec. 4th at the Robinson’s Mall in Gensan. Gaballo captured the vacant WBC Asian Boxing Council Super-Bantamweight title by stopping Manot Comput of Thailand in the first round only last Sept. 10, 2016 in Tupi, South Cotabato. "I am very excited and I’m ready to introduce myself in the U.S.” said Gaballo. Gaballo has been training at the gym of Cuban Coach Moro Fernandez in Miami since June. In his previous outing, Gaballo stopped Jerson Luzarito by a 2nd round technical knockout last Dec. 4th at the Robinson’s Mall in Gensan. The Manangquil brothers will be in Hawaii to give their support to Gaballo. Meanwhile, the 28-year old Guerrero scored five straight wins before he dropped his previous assignment by a unanimous decision to Ruben Villa last Sept. 22nd at the Doubletree Hotel in Ontario. Guerrero started his 5-0 winning streak by stopping Alfredo Montano via a 3rd round TKO last December 2016 in Cananea. He followed it up with back-to-back victories against Jesus Talla by a 1st round TKO on March 17 and then a UD on April 1st. Guerrero then knocked out Arcadio Salcido in the 1st round on May 13th in Agua Prieta. His last victory was a 3rd round TKO on Carlos Medina on May 27th in Cananea. Press Release: October 18, 2017 By Sanman Promotions - Promising Adam Diu “Big Daddy” Abdulhamid of General Santos City is facing another tough opponent as he fights former IBF Pan Pacific Super Lightweight and WBO Asia Pacific Lightweight champion Ik “Wild Man” Yang of China on November 2 in Chongquing. 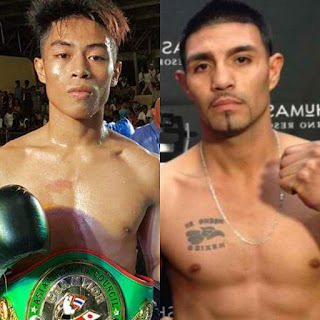 “The fight is scheduled for 8 rounds in the Jr. Welterweight division,” said Sanman Promotions Chief Executive Officer Jim Claude “JC” Manangquil. 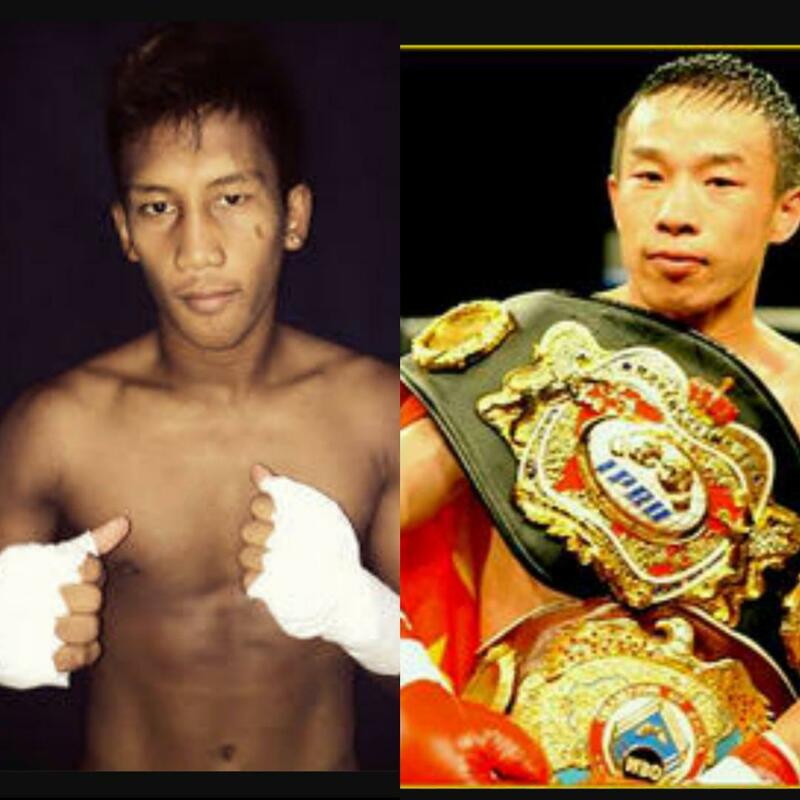 Adbulhamid (11W-4L-0D, 4 KOs), who fights for the Sanman Boxing Gym will be going to China together with chief trainer Romeo “Dodong” Desabille. “Adam is ready and excited for the big opportunity ahead of him,” said Manangquil. The 22-year old Abdulhamid is currently training very hard at the Sanman Boxing Gym for his only second fight for this year. “He is now in great shape,” Manangquil said. Abdulhamid is coming off from a unanimous decision loss to the undefeated Thai Apinan Kongsong (9-0) held August 23 in Bangkok. “Adam lost his last fight in Thailand but his performance was really good,” Manangqul said. Abdulhamid scored two straight wins before he went to Bangkok. He first beat Marjhun Tabamo by a unanimous decision in Iligan City then won by a split decision against Raymond Yanong last Dec. 17 at the Robinson’s Place in Gensan. “I’m very excited and I will do my best to make an upset against Ik Yang,” said Abdulhamid. He also fought for the vacant WBO Youth Super Lightweight title but lost to Georgi Chelokhsaev by a first round technical knockout due to injury in 2016 at the Sport Service in Podolsk, Russia. Ik Yang (19W-2L-0D, 14KOs), on the other hand, has been inactive since he suffered a 6th round TKO loss to Leonardo Zappavigna last July 23, 2016 at the MGM Grand in Las Vegas. It was Yang’s second straight loss after dropping a UD to Cesar Rene Cuenca in their battle for the vacant IBF World super lightweight title last July 18, 2015 in Macao. Yang bounced back from a first round knockdown to also send down Cuenca in the 5th round. But Yang was deducted in the 12th round. Yang won the vacant IBF Pan Pacific super lightweight title by stopping Surasak Makordae in the 5th round on Dec. 16, 2014 in Shaghai. He retained it via a 6th round TKO over Komsan Polsan on March 7, 2015 at the Cotai Arena in Venetian Resort, Macao. Yang also earlier captured the vacant WBO Asia Pacific lightweight crown with an 8th round TKO win against Sukpraserd Ponpitak in 2014 in Shanghai. “I think Adam has a big chance against Ik Yang who has not fought more than a year already,” said Manangquil. We would like to let our readers know that we are between rounds and will resume our regular schedule on Wednesday, October 18th. We would also like to update our readers that material discussing the recent Lightweight bout between former world champions Anthony Crolla and Ricky Burns will be included in a special year-end edition of our regular feature Observations On Recent Events In Boxing, which will be released in December. Stay tuned. "And That's The Boxing Truth." An intriguing battle of former world champions will take place at the Manchester Arena in Manchester, England on Saturday night as Ricky Burns and Anthony Crolla will do battle in a twelve round bout fought in the 135lb. Lightweight division. Burns, who will enter the fight with a record of 41-6-1, with 14 Knockouts has had an illustrious career in which he has won world championships from the 130lb. Jr. Lightweight division to the 140lb. Jr. Welterweight division. Burns first became a world champion in September 2010, winning the WBO Jr. Lightweight world championship with a twelve round unanimous decision over Roman Martinez after previously holding the Commonwealth Jr. Lightweight championship in his career. In his last fight in April of this year, Burns lost the WBA Jr. Welterweight world championship in a unification bout with then IBO/IBF world champion Julius Indongo via twelve round unanimous decision. Burns appeared to be tactically outgunned in the bout against Indongo as Indongo, who was an underdog prior to the encounter consistently outworked Burns and landed the harder punches throughout the fight. Although the always “Game” Burns put forth a determined effort in defeat some might wonder after forty-eight fights in a sixteen year professional career what Ricky Burns has left to give as a fighter. The answer might come in this fight against former Lightweight world champion Anthony Crolla. Crolla, a veteran of forty professional fights in his own right will enter this bout with a record of 31-6-3, with 13 Knockouts. Crolla won the WBA Lightweight world championship in November 2015 by scoring a fifth round knockout over Darleys Perez in their second of two fights. Crolla would go on to successfully defend the title in May of last year with a seventh round knockout over Ismael Barroso. Crollla however, would lose the championship in his second title defense to Jorge Linares in September of last year. Crolla would make an unsuccessful attempt to regain the title in his rematch with Linares in March of this year. Both losses to Linares, two twelve round unanimous decisions have led Crolla to this showdown with Ricky Burns. This is the definition of a crossroads fight as both fighters are coming off setbacks and one might argue that a loss for either at this stage in their respective careers could signal the end of either fighter’s career. A matchup between two world-class boxers where one could make an argument for either fighter having an edge. In this observer’s eyes, this fight will center on who can take the initiative early on. An interesting question however, will be if either Burns or Crolla are able to get the upper hand early in the fight whether that fighter will be able to sustain their momentum as the bout moves into the middle and late rounds. Although both fighters are capable of getting an opponent out of there, stylistically it is logical to assume that this could be a closely fought tactical Boxing match. For the winner could be the potential to reemerge in the discussion for a possible opportunity at a world championship in 2018. For the fighter who does not get his hand raised, this fight could be the end of his career. A scenario where both fighters are in a “Must Win “ scenario. Such scenarios have in the past produced very competitive and compelling battles. Whether or not Ricky Burns vs. Anthony Crolla proves to be one of those fights remains to be seen. Burns vs. Crolla takes place tomorrow (Saturday, October 7th) at the Manchester Arena in Manchester, England. The bout can be seen in the United States on AWE: A Wealth of Entertainment beginning at 2PM ET/11AM PT on both cable/satellite providers as well as AWE’s OTT apps available on Roku and Amazon Fire TV. For more information about AWE and to check where you can watch AWE in your area via cable/satellite please visit: www.awetv.com. In the United Kingdom and Ireland the bout can be seen on Sky Sports Action beginning at 7PM (Local UK Time.) The fight will also be shown on Sky Sports Main Event (Formerly Sky Sports 1) beginning at 10PM (Local UK Time.) For more information about Sky Sports please visit: www.skysports.com. Check your listings internationally.